There is a new version of this course. Please see SAS® Expected Credit Loss: Solution Overview for CECL. 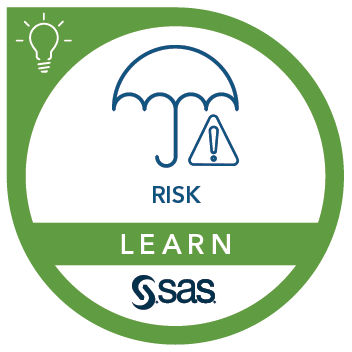 This solution overview training for SAS Expected Credit Loss prepares members of your organization's project team to be effective and informed participants in the requirements development and solution design phases of your implementation. The course includes hands-on demonstrations and teaches you key concepts, terminology, and base functionality that is integral to SAS Expected Credit Loss. After completing the course, participants will be prepared to make key business decisions. leverage the content package and SAS Risk and Finance Workbench to orchestrate the monthly production cycle, including configuration of the required objects.